Home / For Teachers / Teachers Save Lives! Classroom Decor. Gift for Teacher. Teachers Save Lives! Classroom Decor. Gift for Teacher. 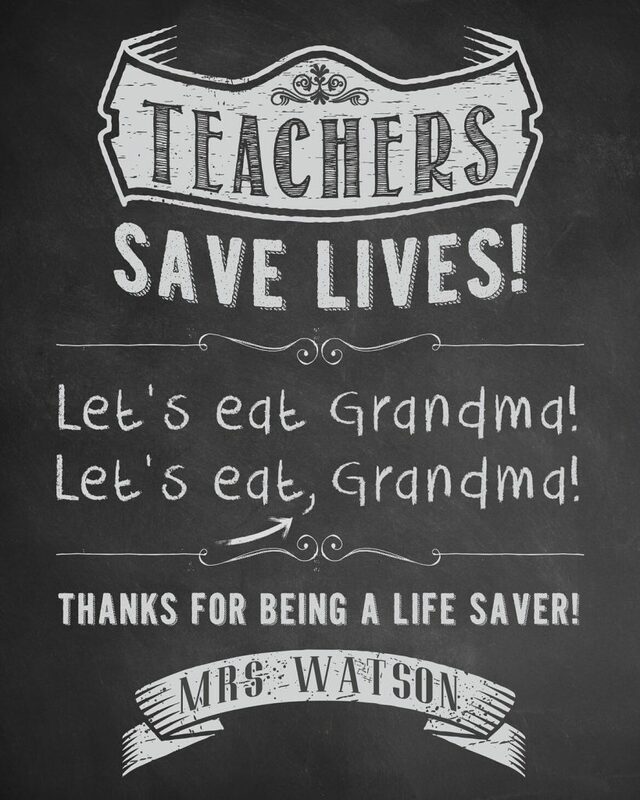 Teachers Save Lives! Funny Classroom Sign. Classroom Decor. Gift for Teacher. Classroom Sign. Teacher Appreciation. Teacher Gift. School Sign. 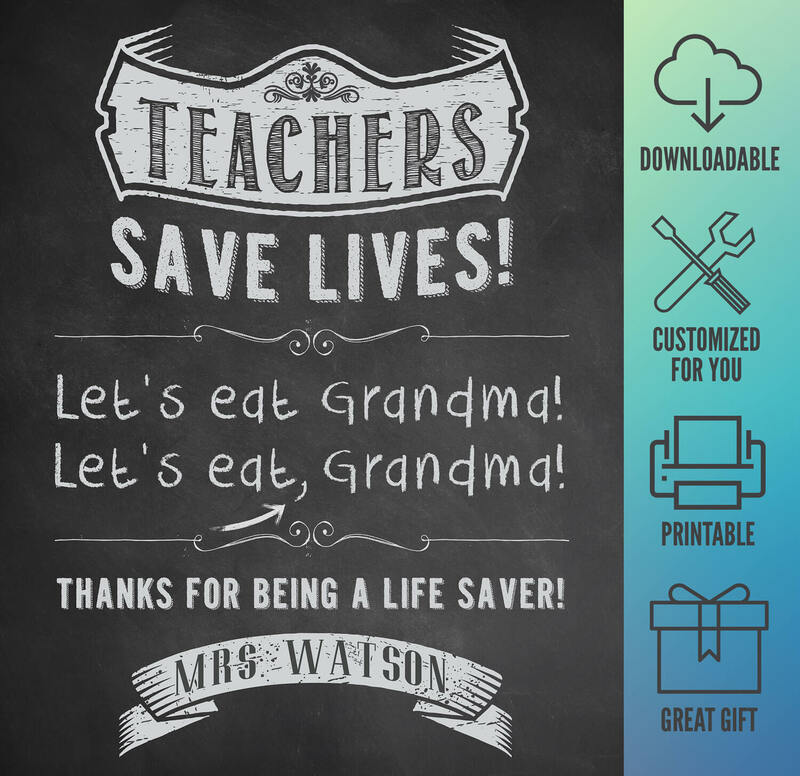 Customized & Personalized Teacher Gift. Thanks for being a life saver! 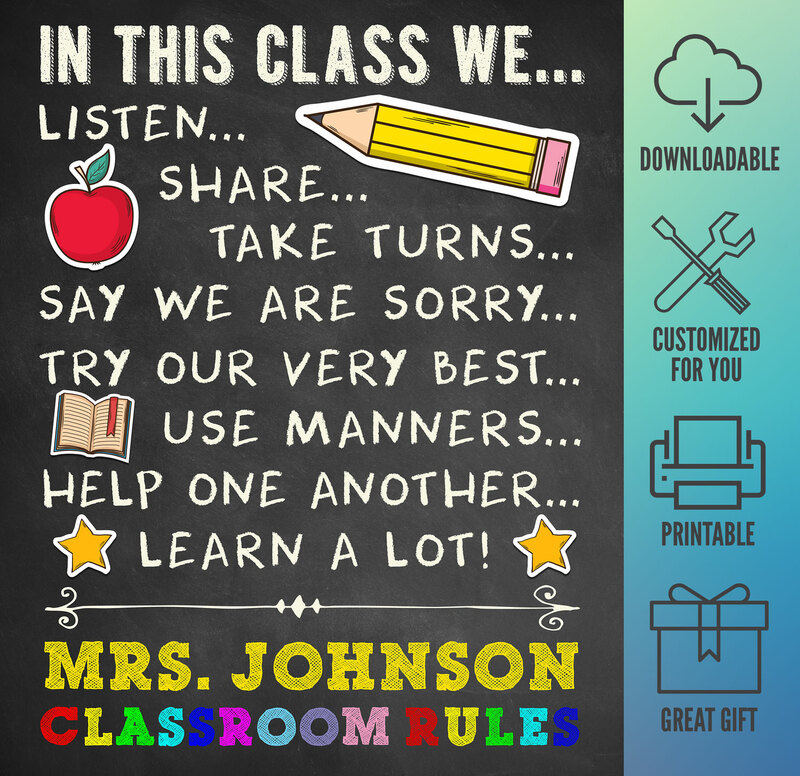 Let them know you care with this fun classroom sign that is sure to bring a smile to all who enter your class. 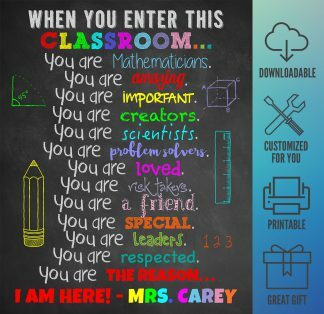 If you are a teacher, get one for your classroom! It also makes the perfect gift for the teacher in your life! Great for colorful classroom decor! 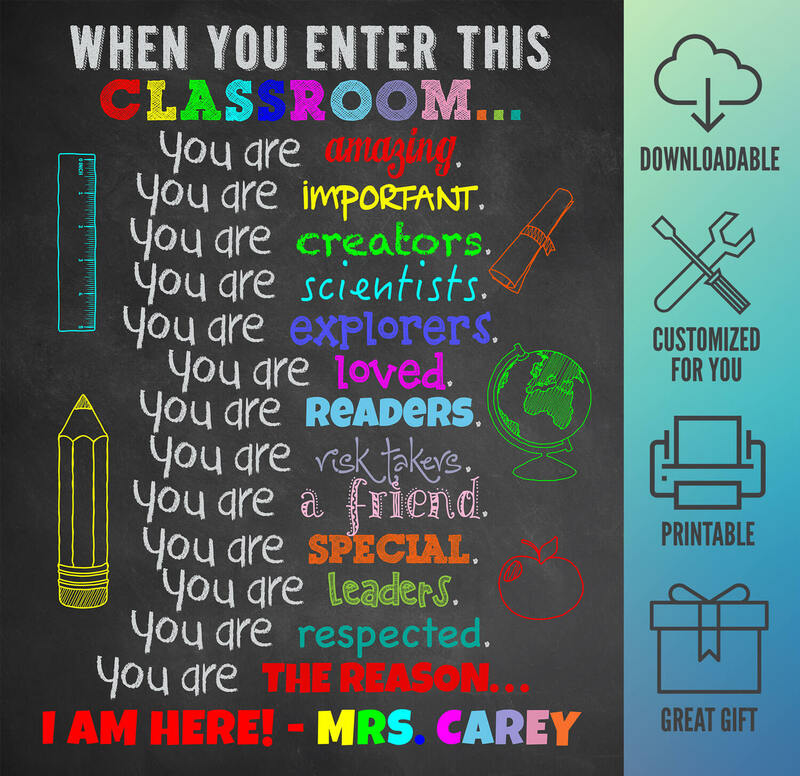 Also a nice gift for the end of the school year, the first day of school, teacher appreciation, as a Christmas gift for your child’s teacher, or just because you want to show appreciation any time of the year! – Change the “Thanks for being a lifesaver!” to “Welcome to Class!”, “Life-changing Teaching happens here!”, etc. Just let us know the teacher’s name and any customization instructions in the “Notes to Seller” when you purchase the listing. When You Enter This Classroom. Classroom Decor Gift. Customized & Personalized Sign. Math Classroom Decor. Gift for Teacher. Classroom Sign. Teacher Appreciation.